The American Express Platinum card is offered with no annual fee to military servicemembers on active duty (Title 10) orders. The AMEX Platinum military benefit is exceptional and every military member should take advantage of it. Learn more about this excellent, no fee for military card here. The normal $550 annual fee is waived for military personnel. 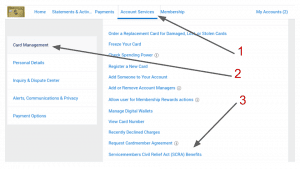 You get all the annual benefits of cardholder membership without paying a penny in annual fees. Once on a deployment exercise, I was sitting at a bar on a military base near Gulfport, Louisiana. Behind the bar was a wooden, multi-tiered stand to keep cards of open tabs. Of the 2 dozen or so cards on there, at least half were AMEX Platinum cards. It was almost comical. You could see them all shining in their metallic glory in this low-rent bar in backwater Louisiana. But it makes total sense. Why would a military member NOT get the Platinum card when it has such a substantial welcome bonus and has annual benefits that have actual monetary value? Not only should every servicemember get 1 AMEX Platinum, but I think you should try to accumulate up at least 3-4. The benefits continue to stack if you get the Schwab Platinum, Ameriprise Platinum, and Business Platinum. And there's still no annual fee. Heck, this guy already has 11 Platinum cards and is working on getting more! You can also upgrade the American Express Gold Card to a Platinum card and the AMEX Green card, even if you already have another Platinum. I describe how to in those links. The process to get the fee waived on your AMEX Platinum card used to require a secure message or phone call to AMEX. Now, it's all automated and a simple 3 step process. Click the image below to see the process. AMEX will compare your information against the DOD employment verification database and award your fee waiver to your card. Most servicemembers never even see a fee charged to their account. 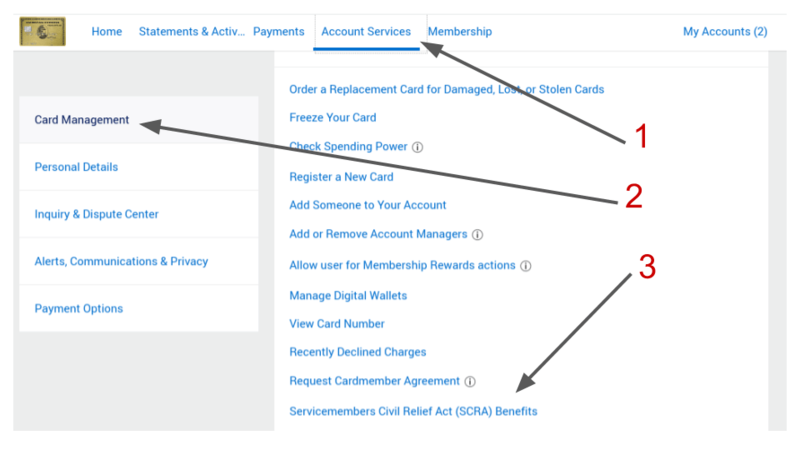 If you do see an annual fee charged, it should have a credit to offset it within a few weeks of AMEX accepting your SCRA eligibility. Once you get your card, you can start enjoying the free perks that come with Platinum membership. Every month, like clockwork, I get a $15 credit in my Uber account, just for keeping my no annual fee AMEX Platinum card around. If you have more than one Platinum card or your spouse has a Platinum card, you can stack the credits as well. In December AMEX hands out $35 in Uber credit. Although I'm OCONUS at the moment and can't use the credit, I can send UberEats to family and friends back home. Don't let those credits go to waste! The credits do not carry over month to month. You pick an airline of your choice every year on the AMEX website. You can spend $200 on incidentals on that airline and get the reimbursement posted to your credit card statement. Since all military personnel already have TSA Pre-Check with their DOD ID numbers (the number on the back of your CAC), it makes sense to apply for the Global Entry program. 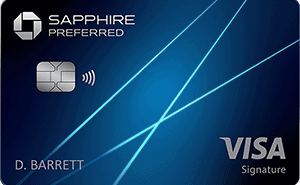 With the Platinum card, your $100 sign up fee is reimbursed. Global Entry gives you fast track access to the US when returning from overseas. This can be really nice when coming back to the US from OCONUS. The last thing you want after an economy class flight is to wait in a long line for Customs and Immigration. 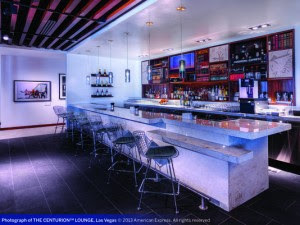 The Centurion Lounges offered by American Express have some of the best food and drink available in lounges in the US. You can get into all of them for free with your Platinum card. The card also gives you complimentary membership in the Priority Pass program, giving you access to an additional 1200+ airport lounges around the world. When you're travelling internationally or domestically, it's really nice to not have to worry about food, where you're going to charge your phone, or if the bathrooms are going to be nice. Lounge access takes you far from the madding crowds and gives you a little bit of peace in your travels. The hotel statuses you get automatically just for having a Platinum card make this card a no-brainer. As a military servicemember, chances are pretty good that you travel for work or fun. There is almost always an Marriott or Hilton property near your TDY location or your vacation spot. Since SPG and Marriott just merged you should have no problem cashing in on this benefit. You'll earn extra points when you stay at these properties because of your status and you might get freebies like breakfast, room upgrades, or other perks. Lots of cards have this benefit. Most of the cards in my wallet have no foreign transaction fees. If you are stationed OCONUS or travel a lot OCONUS, you need to make sure you always have a no foreign transaction fee card in your wallet. It just doesn't make sense to pay foreign transaction fees, especially when you get an awesome card like the AMEX Platinum with no annual fee. Do the math and don't pay extra when you do not have to! You're missing out on tremendous annual benefits plus a fat welcome bonus if you don't get this card. You can learn more about the card here. You don't want to be the guy checking into the hotel on your next TDY who doesn't have SPG or Hilton Gold Status because you are the only guy without an AMEX Platinum. The AMEX Platinum and the Chase Sapphire Reserve are my two “must have” cards for US military personnel. What about Authorized Users? 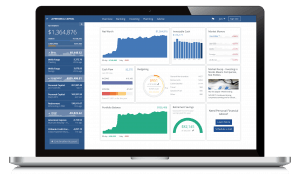 Do you know if the annual fee of $175 for AU’s is waived? And if so, do they have to be a dependent? Yes, authorized users annual fee of $175 waived. No, they don’t need to be a dependent if the primary account holder qualifies for SCRA benefits. Does American Express waive the annual fee for National Guard members too, or just active duty? Reports show only if on Title 10 or Title 32 orders can you get the SCRA benefits if Guard or Reserve. But nothing confirmed yet. No annual fee is nice but I’d hate to be slapped with that fee x 3 once I get out. The prospect of an annual fee and the point rewards system and the fact that the military prevents me from travelling all that much are why I’m not getting this card. I’m not sure why you think you’ll be slapped with the fee x3. You can cancel or downgrade your cards at any time before leaving active duty to avoid the annual fees. And for most people the military is a reason they do travel. Even if you just travel a few times a year before to your family and friends, it’s nice to use the AMEX airport lounges for free. Love this card, absolutely love it.